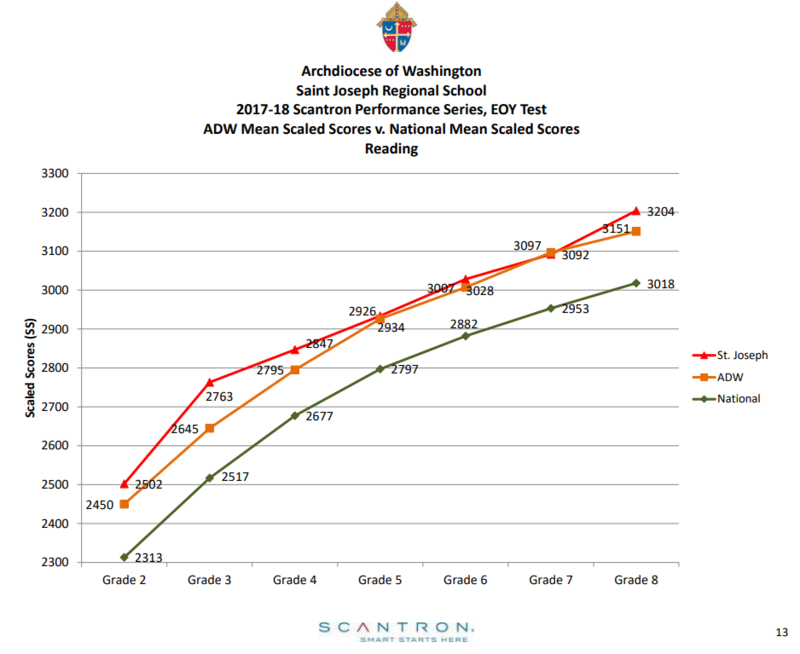 Students enrolled in Grades 2 - 8 complete the Performance Series Test by Scantron, a standardized test administered nationally in both Reading and Math. An analysis of the performance of our students in each subject is included below for your convenience. 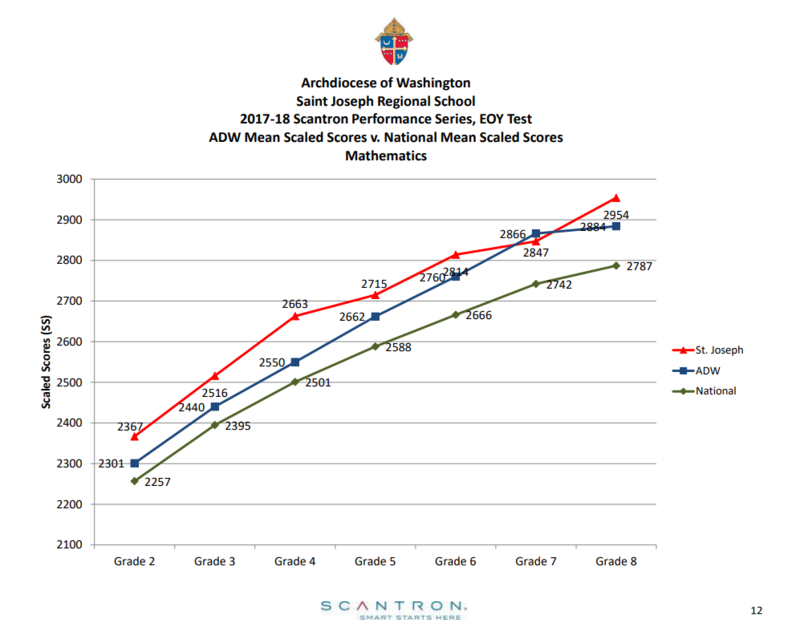 our students scored higher than the national average in both Reading and Mathematics (please refer to the 1st and 2nd picture below). 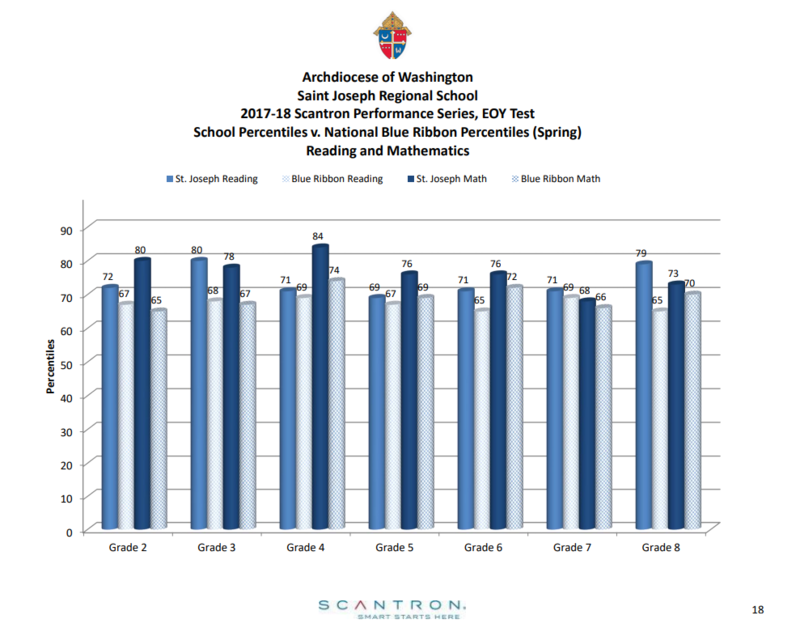 Furthermore, our students scored within the Top 15% nationally in Reading and Mathematics on May 2018's assessment, thereby making our scores Blue Ribbon Eligible (please refer to the 3rd picture below).